We are going to a very important ceremony marking the centenary of the end of World War I. This was A bloody war that claimed millions of lives," he said at the airport before his departure. "It was also of great importance in the history of our people," the Prime Minister explained. "First of all, there were hundreds of thousands of Jewish fighters involved, which marked the next turning point in our ability to defend ourselves. In addition, it brought to an end to the Ottoman Empire that ruled our country, and paved the way for Zionism. 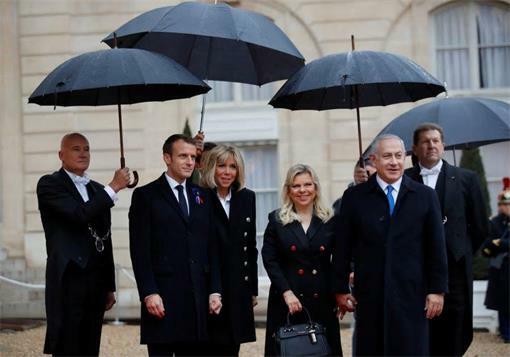 Prime Minister Benjamin Netanyahu departed for France to join more than 70 world leaders gathering in Paris on Sunday to mark the centennial of the end of World War I..
On Monday, he will meet with French President Emmanuel Macron.